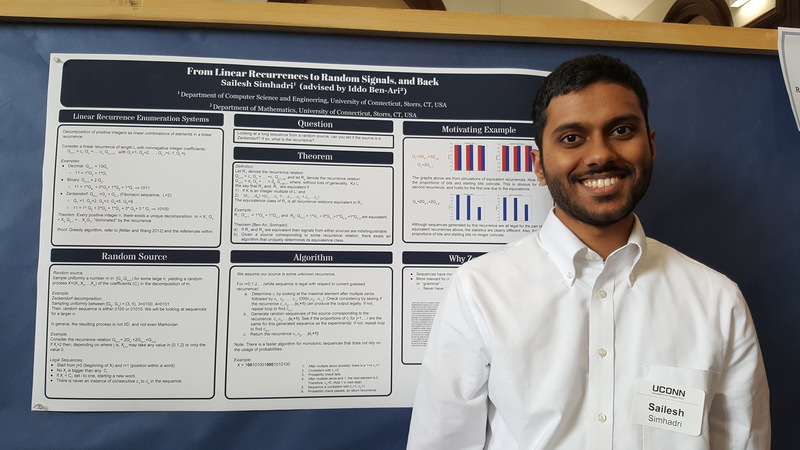 Three undergraduate students presented posters on their math research during the 2018 Spring Frontiers Exhibition sponsored by the Office of Undergraduate Research (OUR). Sailesh Simhadri presented his SURF-funded project on random processes associated to linear recurrences. 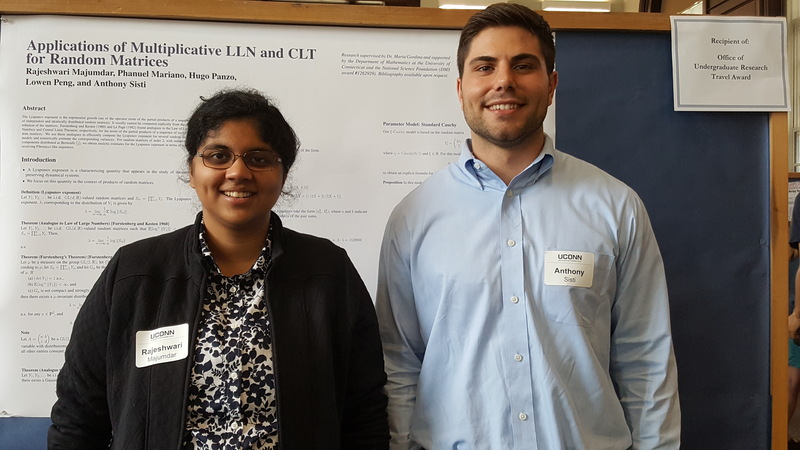 Raji Majumdar and Anthon y Sisti presented their research from last summer on applications of Central Limit Theorems to the Black-Scholes formula in math finance and to products of random matrices. They were supervised by Masha Gordina, and mentored by graduate students Phanuel Mariano and Hugo Panzo. A grant from the OUR allowed them to travel to and present at the 2018 JMM.